Gov. 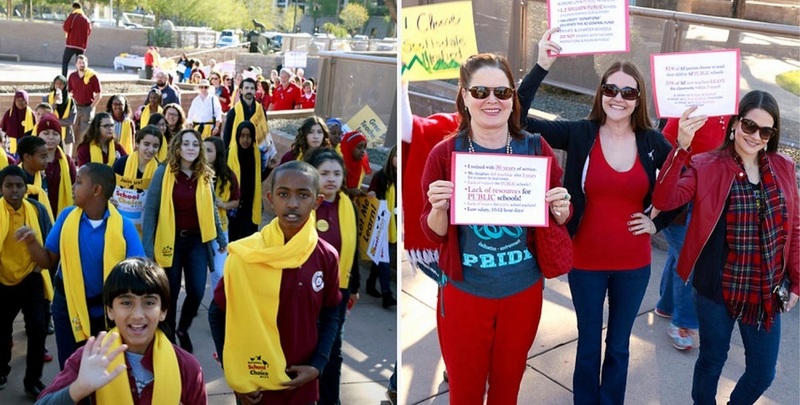 Ducey’s proposed budget allocated a total of $12 million over two years to hire an additional 124 school counselors statewide, which would reduce the ratio of students to school counselors by 17 percent, said Janine Menard, chair of the Arizona School Counselors Association. “That’s a great fresh start. We were very happy and excited that we were part of his proposed budget, but we know it’s not enough so we’re just kind of plugging away and getting out the word as best we can to get some public support for these bills,” Menard said. House Bill 2562, sponsored by Rep. Jennifer Pawlik, and Senate Bill 1344, sponsored by Sen. Sean Bowie, would help each school district and charter school hire at least one school counselor for every 550 students enrolled and would pay for that by appropriating a total $285 million from the state general fund over the course of five years. “Right now, Arizona has the worst in the nation ratio – we’re at 903 students to one counselor,” Menard said. HB 2562 and SB 1344 would get that students to counselor ratio closer to the national average of 450 students to one counselor, Menard said. About 44 percent of Arizona high school students do not have access to school counselors, according to the U.S. Department of Education’s Civil Rights Data Collection. During the Great Recession, Arizona public schools made tough budget choices after the Arizona Legislature cut funding. Some reduced the number of counselors, while other eliminated school counselors completely. 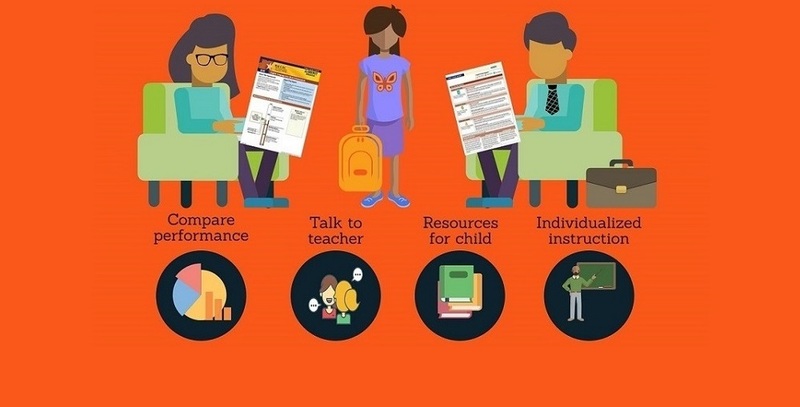 Three years ago, Arizona determined that counselors and many other student and instructional support services should be included in dollars spent in the classroom. Elementary and middle school counselors help all students through comprehensive counseling, teaching social-emotional learning, supporting students with their academics, helping students deal with trauma, mediating, advocating for students, attending Individual Education Plan and 504 meetings and using data to direct programs and interventions, Menard said. 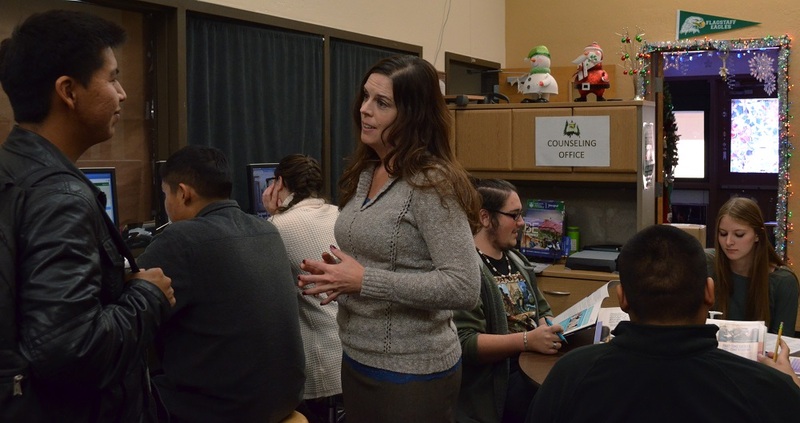 High school counselors help students choose courses to graduate and help them pursue their post-secondary education or career goals with college and career readiness, Menard said. 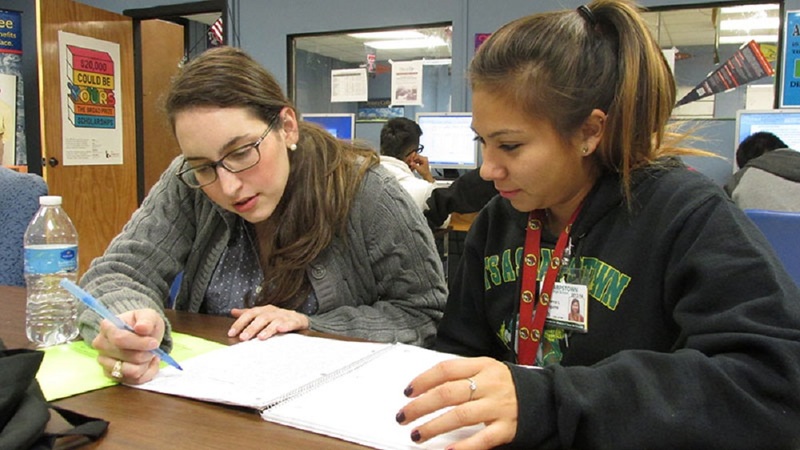 Counselor Natasha Sankovich works with senior Blanca Aguirre on her college essay. 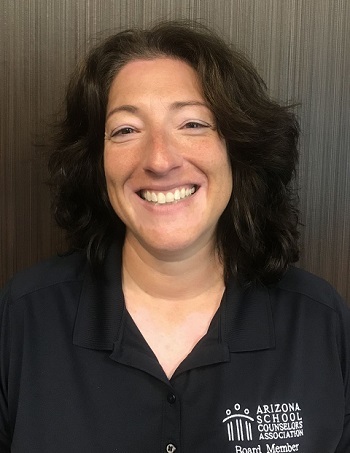 Counselors at all schools also support teachers, administrators, families as well as provide short-term counseling for students in need, Menard said. “If we feel like the student needs long-term therapeutic support, we’ll refer them to an outside counseling agency,” Menard said. Helping students with mental health issues is important, because many students come to school with a lot of trauma, and that can lead to negative outcomes in and outside the classroom and health problems, Menard said. 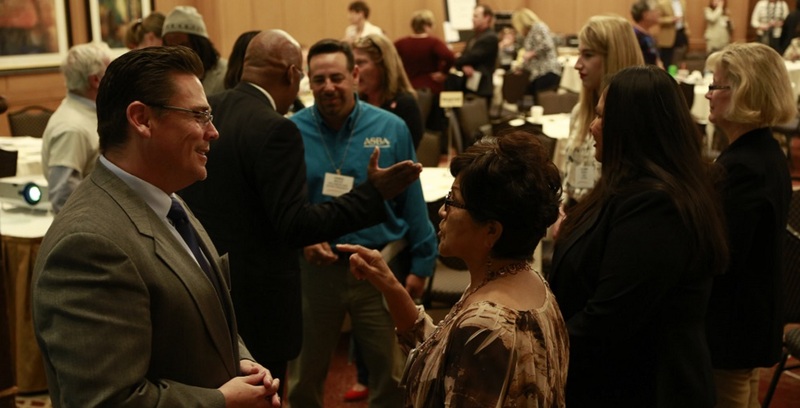 “Arizona has the highest rate of adverse childhood experiences (ACES) in the nation – 35 percent of students have experienced three or more,” Menard said. That means students have difficulty focusing on their classwork, because “what they have their mind on is “Is my Mom safe at home? Is my Dad going to get deported?” Menard said. Neither bill has been heard yet in their respective education committees, but “we’re looking to mobilize and get some people to call to get this bill heard in the appropriations committee,” Menard said.